Here is the video of the most recent craft segment that I did on WDRB in the Morning. These D.I.Y. Halloween treat bags are easy to make and have a cool vintage look because of the faded crayon picture transfers. Full instructions are here. Halloween is my favorite holiday, so you'll be seeing a lot more CRAFTOWEEN projects in October! If you want to get an early start and are looking for a Halloween craft project, you have come to the right place! I recently made these Halloween treat bags using a crayon transfer technique that is fun and easy. To start, color a picture on the vellum paper with crayons. Remember that after ironing, the image will be reversed, so be sure to draw the letters backwards if you want to use a word. To do this, you can write the word on the front side of the paper with a pen and then flip over the paper and use the crayon to trace the word. Once you are finished with the drawing, place the the paper crayon side down on the fabric bag. Put the iron on the hottest setting to melt the crayon and transfer the image to the fabric. The transferred image is better with the brighter colors. For instance, orange showed up really well, but the black was somewhat faded. 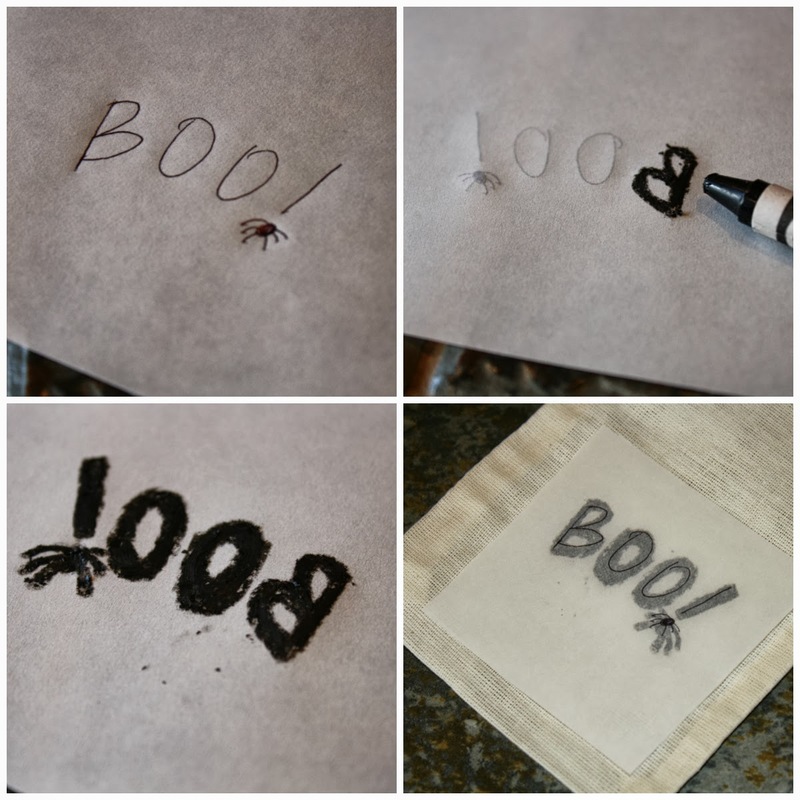 I made treat bags with a spider, pumpkins, and the word Boo! I think this project is very simple to do and is a lot of fun. This is also a great way to save your children's drawings for the future! There are many other suggested crayon transfer techniques on the web, including the use of fabric crayons, and sandpaper instead of vellum. Do what works best for you with the supplies that you have on hand. I will be making this project for free this Saturday, September 28 at Maker Faire Louisville. 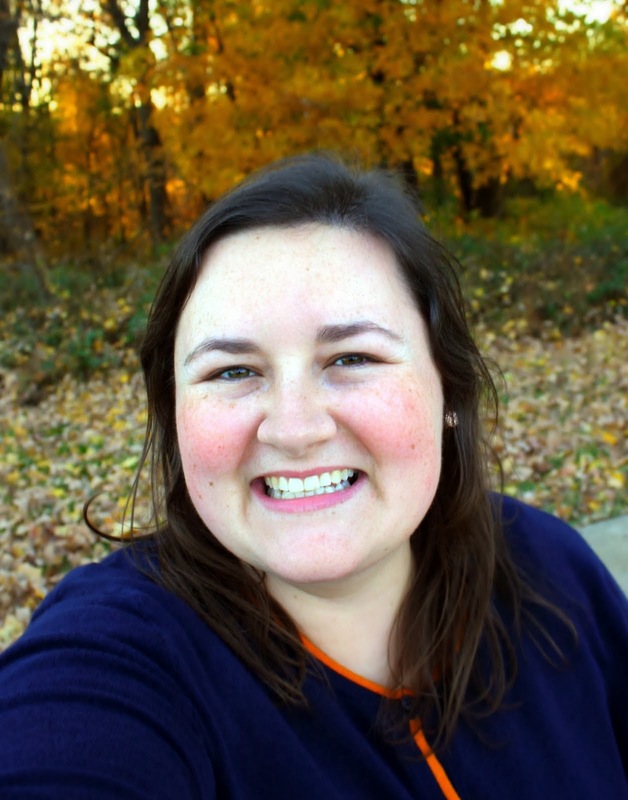 Join me and some of my crafty friends, including DIY Louisville. It will be fun! 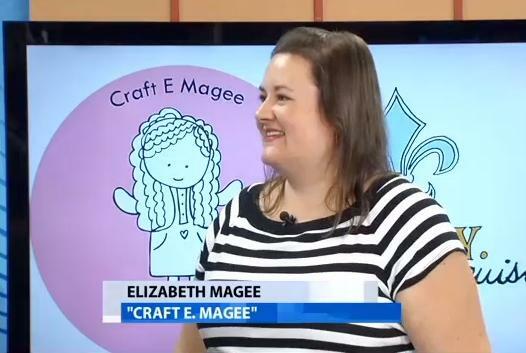 I always have a good time crafting on WDRB in the Morning, but I was really excited to be able to share a party idea that Julee from D.I.Y. Louisville and I came up with on television last week! The U of L vs. UK football game was on Saturday, and all eyes in the state of Kentucky were on the game. I hope that our football face off party inspires all the football fans out there to add a crafty touch to their game days--for any sport. The full instructions are here and free printables are here. 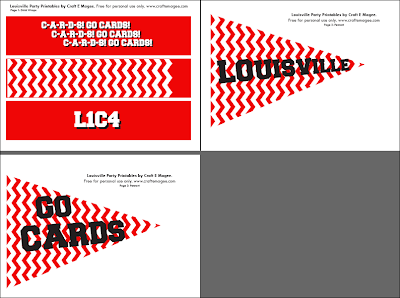 The University of Louisville (U of L) Cardinals and the University of Kentucky (UK) Wildcats have a heated rivalry in this state, and it seems like everybody has a favorite. 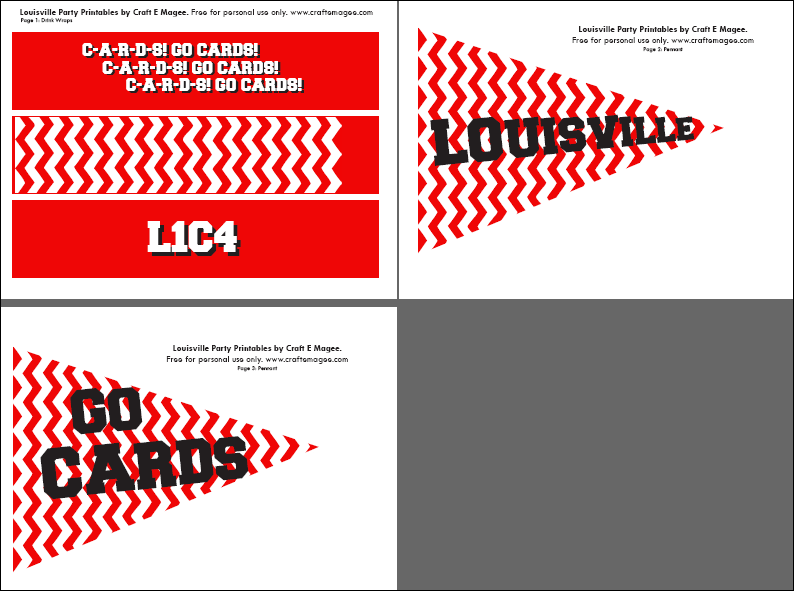 Since the Cards and the Cats are gearing up to face off in a football game this Saturday, Julee from D.I.Y. 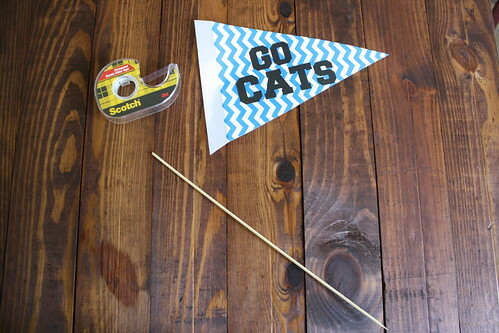 Louisville and I were inspired to put together this UK vs. UL party. For the base of our table, we used a green felt fabric and white masking tape to create a football field! It's basically a simple rectangle with lines down the middle. 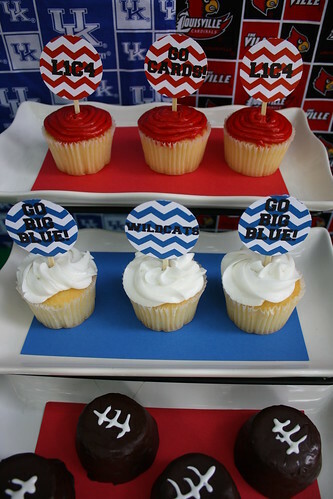 We also use blue and red party supplies for the snacks, team fabric from the craft store as the backdrop, and the free printables that I created to decorate. 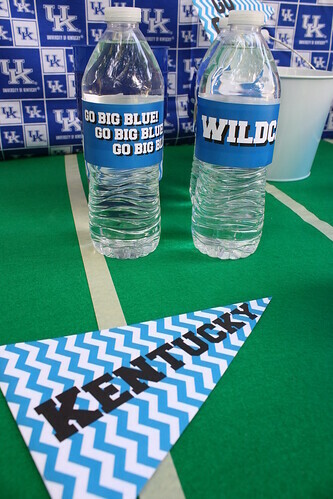 Using the printables, you can make cupcake toppers, drink labels, pennant flags, and a banner. 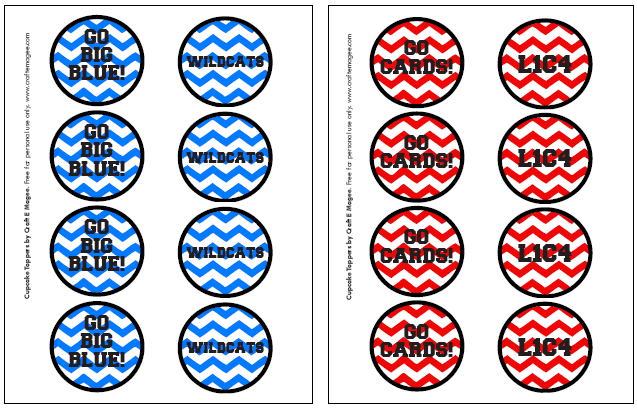 Download your UL vs. UK game day printables here. 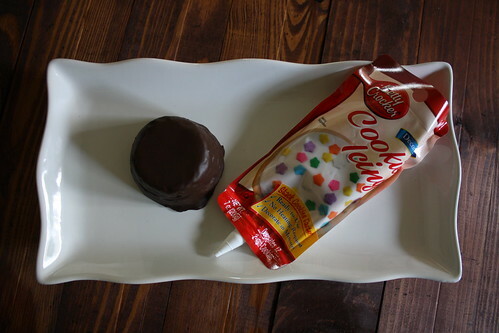 Besides the cupcakes, that look so cute with the printable toppers, we used store bought chocolate snack cakes and a tube of vanilla icing to create little football dessert cakes. 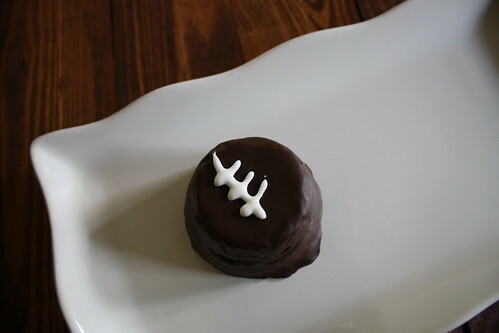 It's easy to make the football desserts. 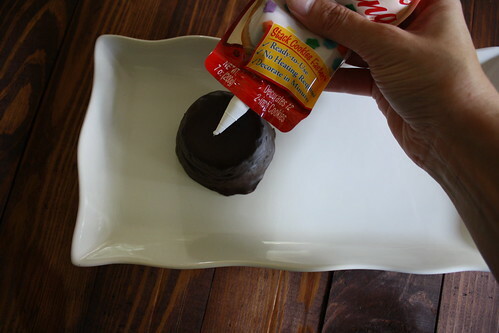 Take the store bought chocolate cakes and the vanilla icing and add the center line to the cake. Add three hash marks on the center line to create the "laces" of the football. That's it! So easy. 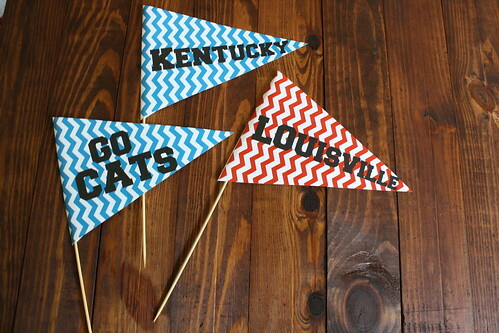 The team flag pennants are easy to make too! Just cut out the triangle shape. 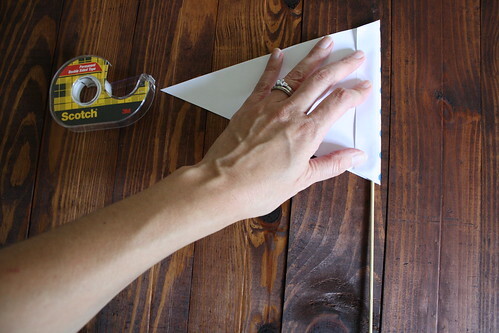 Turn the triangle of paper face down and fold the side over. 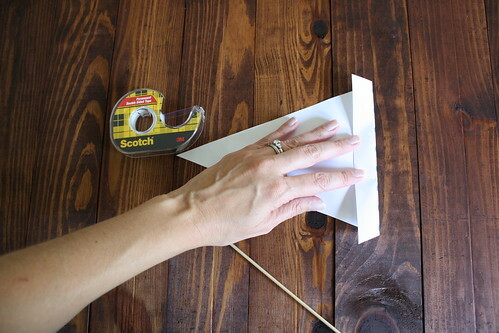 Insert the wooden dowel or bamboo skewer into the paper and tuck in the edges of the paper. 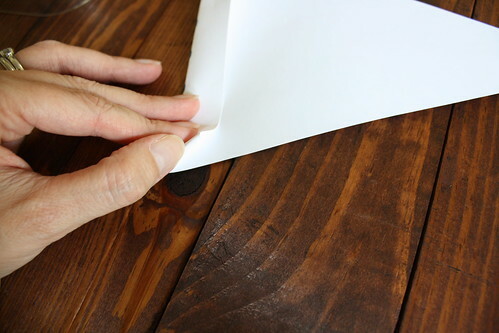 Tape the seam of the paper to secure. 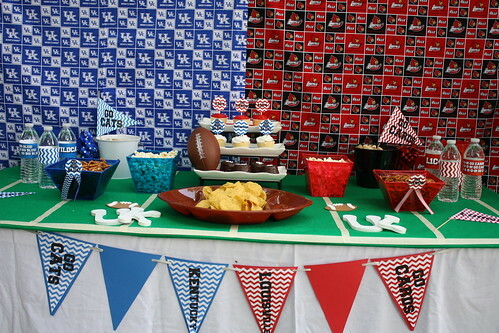 The finished flags look super cute on the snack table, or you could hand them out to party guests. Fans will have a lot of fun with these flags! Don't forget to quench your guests' thirsts with water or sports drinks! Use the printed drink labels to wrap around the bottles. It's all the special details like this that make for a fantastic themed party! 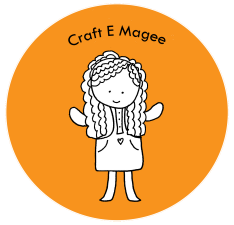 So whichever team you cheer for, I hope that you enjoy the free printables by Craft E Magee and the party ideas by Craft E Magee and D.I.Y. Louisville. Have fun and enjoy the game! You cannot grow up in the state of Kentucky without having some sort of athletic affiliation. 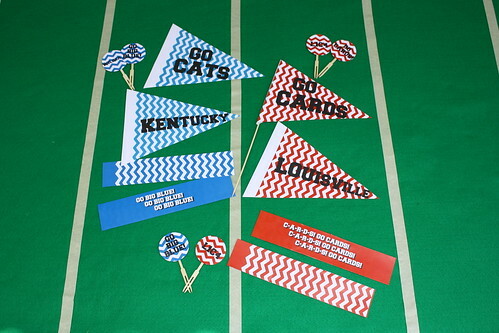 It seems that almost from birth Kentuckians are forced to pick a side: the University of Kentucky Wildcats or the University of Louisville Cardinals. Blue or Red. It's kind of a big deal! U of L and UK will play this Saturday in their annual football face off. Even though there is a heated rivalry between fans, I'm hoping that they can all come together here to download my fun printables to use at their parties on game day! Below you will find the links to 4 different documents that I have created. 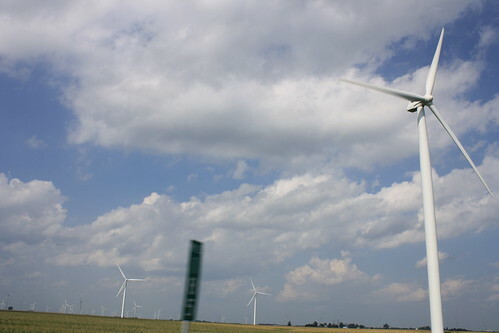 Each one is downloadable and free for personal use. The first two documents are for printable cupcake toppers. 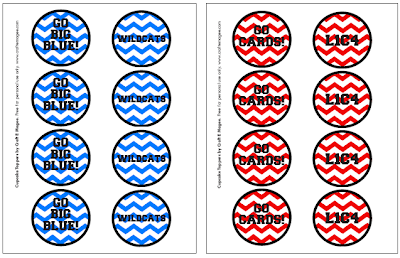 One is for UK and the other is for U of L. All you have to do after printing to turn them into cupcake toppers is to cut out the circles and attach toothpicks to the back. You could also print these documents on sticker paper and cut out the circles to make stickers. Fans can select a team to represent at the door of your party! 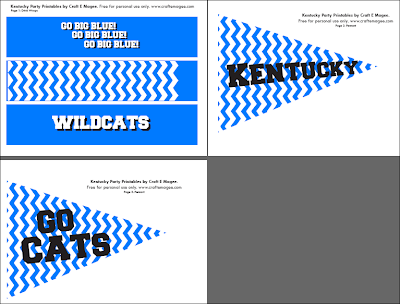 The final two printables are for team pennant flags and drink labels. One is for U of L and the other for UK. The flags are easy to make. All you need to do is attach a dowel or bamboo skewer to the back with tape. 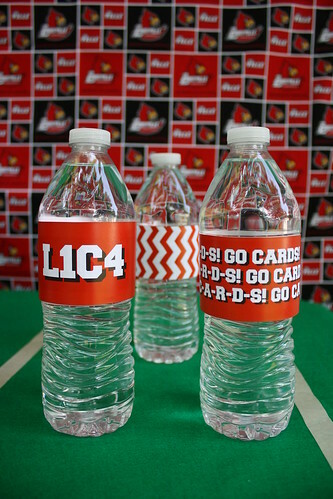 The drink labels can also be secured with tape, and made waterproof by covering them with packing tape, or laminating before securing. The drink labels could also be used as bookmarks or team bracelets! 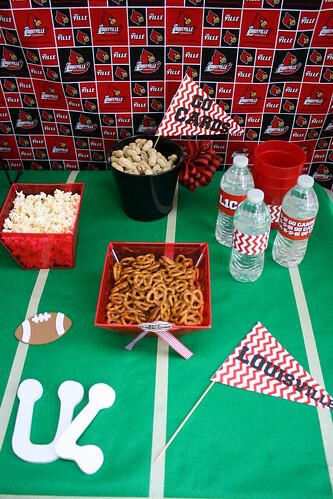 No matter how you use these printables, they are sure to add a crafty touch to your game day party. Enjoy, and remember that they are for personal use only. Thanks for stopping by! 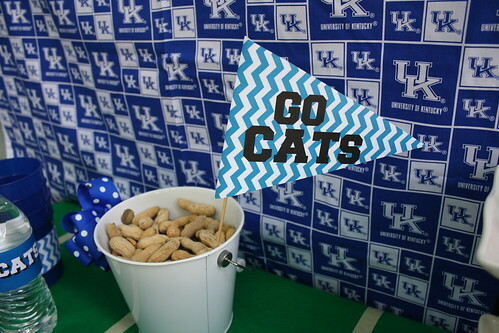 Check back later for a UL vs. UK party that I worked on with Julee from D.I.Y. Louisville! 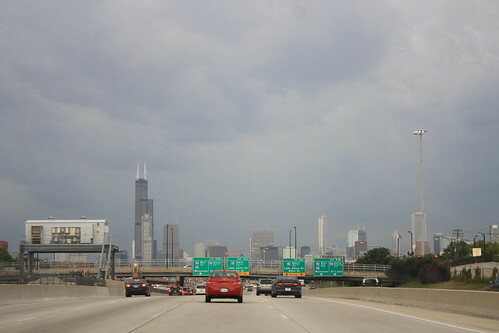 Over the long weekend I took a road trip to Chicago with J. 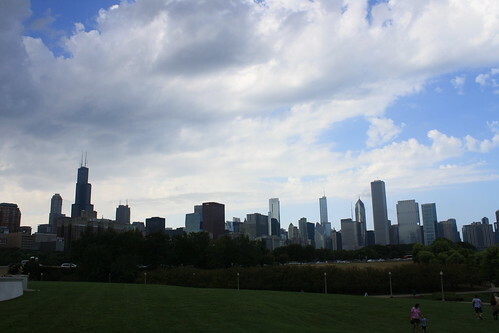 It's funny, because almost 1 year ago exactly, I took a road trip to Chicago with my friends from DIY Louisville to attend the 2012 Renegade Chicago craft fair. 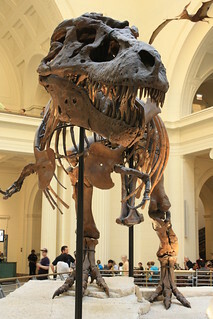 Chicago is definitely a fun place to visit. 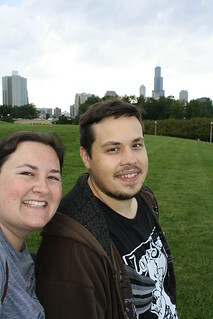 Even though it rained a lot on this trip (and Chicago lived up to it's nickname as the Windy City), J and I were able to walk around and see some things including the Field Museum and the different parks around the lakefront. We also treated ourselves to some tasty foods like tacos, deep-dish pizza, and Chicago style hot dogs! You can't really go wrong when being a tourist. 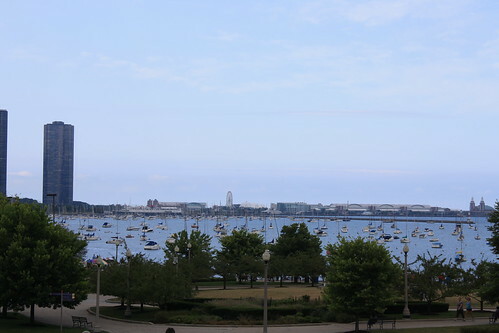 The main reason for our trip was actually to see the Oddball Comedy Festival in Tinley Park. J and I both love Flight of the Conchords and Dave Chappelle, so being able to see them in person at the same time was amazing! I think we were in agreement that Dave Chappelle was the best performer of the night, although Al Madrigal, Jeffrey Ross, and the others were funny too. We had a great time! 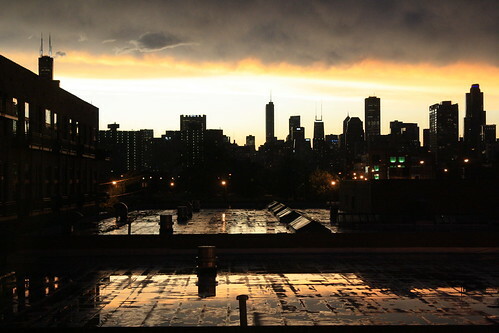 Even through the stormy weather, I was able to capture some cool pictures, including this Gotham City looking skyline. That is one of the reasons I love to travel--being able to capture some amazing photographs. I'm lucky that I am always able to find a willing travel partner! Plus, it's so great to have that 3 day weekend break from work! I'm curious how you spent your Labor Day weekend? Leave me a comment about your favorite long weekend activities.